An understanding of a business and its industry is critical for successful accounting and financial operations, including GAAS audits. However, developing and maintaining a thorough understanding of a business and industry can be challenging. Failure to understand and stay abreast of industry developments, moreover, can result in lost opportunities and exposure to financial risk. The authors suggest a ten-step process for efficiently filtering and structuring information that will create a useful mental model of a company and its economic environment. By keeping an objective in mind, the process can be directed toward providing the breadth and depth of knowledge that is required while avoiding information overload. Following this process on an ongoing basis will maximize industry knowledge and lead to the provision of valuable business advice. The business environment has changed dramatically during the last decade. Innovations in information technology have enabled companies to create products, services, and alliances that were scarcely imaginable ten years ago. These changes place pressure on managers to communicate carefully to their stakeholders how their company will survive in this environment. 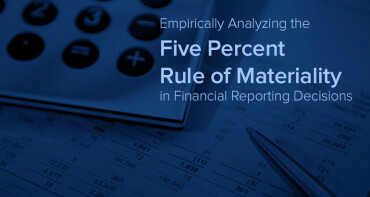 Measuring financial performance is becoming increasingly difficult under current reporting guidelines, necessitating an evaluation of financial statements within the context of a company’s industry and an economic web of interrelationships. This process requires deep knowledge about a company’s operations, its competitors, and its industry. Gaining a sufficient level of understanding about a company’s industry and business—regardless of the underlying objective—depends heavily upon developing a mental model of a particular company and its interrelationships with other entities and its economic environment. Maintaining and increasing understanding levels involves identifying relevant information (filtering) and updating the appropriate aspect of the mental model (structuring). The good—and bad—news is that more industry and business-related information is available than ever before. One potential challenge that increased information availability poses is information overload, an overabundance of information to be processed. Information overload makes gathering and filtering pertinent information for subsequent assimilation and analysis difficult. It is psychologically very difficult to ignore all irrelevant information, and sometimes the sheer amount of information can cause one to just “shut down” intellectually. A second challenge is that analyzing and assimilating large quantities of new, unstructured information into an existing knowledge base is difficult. Part of effective and efficient information processing is understanding which aspects of a mental model need to be updated based on new information. The ability to effectively update relevant aspects of a mental model is critical to maintaining an adequate understanding in a changing environment. These challenges can be met by following a formal process to filter and structure information on a business and industry. This process should— help overcome the problems of information overload and the unstructured nature of new information, serve as an information filter to gather pertinent information and ignore irrelevant information, provide structure to newly gathered information, thereby reduced the time and effort expended analyzing and assimilating it, and allow information to be processed using less time and effort than would be required otherwise. The process described below requires a progression through ten stages in order to create a mental model that should enable an understanding of a company’s business and industry. Some large firms and companies have dedicated resources for filtering industry information and sending updates to those that need the information. This is costly but can be helpful. For smaller firms or companies that do not have such resources, the decision tool described below can be used to develop a sufficient base of information about an industry and highlight important information while monitoring other events in the background. The information about industries available can be abundant, unstructured, and fragmented. In Cognition and Complexity: The Cognitive Science of Managing Complexity (1996, The Scarecrow Press), Wayne Reeves, a professor in the field of library and information science, describes a decision tool called the understanding heuristic, which can be used to harness information that meets such criteria. His process has 10 stages that combine to create a mental model of the business or industry within a framework based upon an objective. It is important to remember that the stages in this process are not independent. Information might be relevant at multiple stages because this structured approach utilizes information differently when developing different aspects of the mental model. For example, while the historical context and jargon relevant to a company enables a basic understanding of its business, identifying basic concepts helps specify which aspects of the mental model will need the most attention during the remaining stages of model development. Process objective. Before beginning the formal process, set the boundaries of the mental model based upon the objective. Begin by documenting the objective and proceed through each stage with the objective in mind. Understanding the development of an industry or company, including where, why, and how it has reached its present status, is important. Understanding the reasoning behind decisions made by the company and others in the industry and the impact of external and internal events provides insight into the decision-making process. Although past performance can influence future performance, overreliance on historical events can lead to inaccurate forecasts. Hoover’s online (www.hoovers .com) contains brief industry histories. Books are a better source for an in-depth history; one approach is to search an online bookseller for bestsellers on an industry. For example, BN.com’s best-sellers on the automotive industry included Guts: The Seven Laws of Business that Made Chrysler the World’s Hottest Car Company, The American Car Dealership, and America on Wheels: The First 100 Years, 1896-1996. For a company’s business history, there are several options. If the company is publicly held, read its recent 10-K and 8-K filings (via the SEC’s EDGAR database at www.sec.gov). 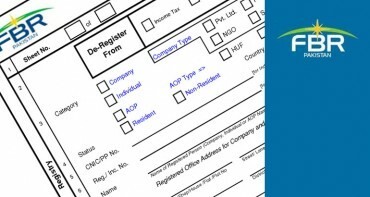 Read through a company’s website, if one exists. Often a fairly detailed company history is archived for public access or available upon request. Most industries (and some companies) have terminology that is commonly used but not widely known to outsiders. Awareness of the key terms, particularly those used in a company’s operations and by industry organizations, can be challenging: Terminology tends to evolve as new innovations in products, production processes, and information systems are introduced. Searching industry websites and reading recent books will uncover key jargon definitions. For example, the Hoover’s industry description for the automotive industry highlighted seven key industry terms: K-car, Keiretsu, sport utility vehicle (SUV), subcompact, SUVurbs, V-8, and vertical integration. Knowing these terms allows easy conversation with operations personnel. Both historical context and jargon help in the design of an initial mental model. The next stages help identify points of emphasis. There are a few basic concepts or strategies upon which an industry and business are based. These concepts generally are simple; executing them effectively and efficiently is the challenge. Basic concepts are not, however, static: changes in consumer preferences, technology, resource constraints, and the economy can cause industries and businesses to evolve and reinvent themselves over time. To effectively understand the current basic concepts of a business, read a company’s mission statement (if one exists). Often basic business concepts manifest themselves as core values or principles. These core values often become the basis upon which companies choose to offer different products or services. Seeking out current industry information on industry websites will often highlight the basic concepts driving an industry. For example, the basic concept of lean manufacturing has emerged as a prevailing process for automobile manufacturing. Embedded in this production process is just-in-time manufacturing and total quality management systems. Organizations are made up of various business processes, each of which performs either an operational or support function directed toward strategic objectives. These business processes make up an organization’s value chain. When an outside organization can more effectively or efficiently perform a business process, a strategic alliance or outsourcing agreement can be created whereby an internal business process is replaced by an external one. Knowing the business processes that are typical within an industry can promote understanding whether a company is operating effectively and efficiently. For some industries, the basic business strategy (Stage 3) might be to develop one or more superior processes. Identifying all relevant processes can be challenging because there is no readily available source of industry business processes. One useful method is to talk to managers about which business processes are in place in the company and throughout the industry. Furthermore, identifying the key functions of business processes which help ensure that business objectives are met and analyzing how various processes relate to each other are critical parts of identifying whether a company’s competitive advantage is being realized by its operational structure and performance. A few external factors common to most companies and industries are general economic conditions, competitors, and technological innovations. External forces are probably the easiest element to understand and possibly the most important to continuously monitor. To obtain a thorough understanding of the industry, visualize how business processes and the industry have changed in recent years. Identifying whether there are patterns that seem to reoccur helps in evaluating to what extent an industry is cyclical. Create a timeline both for the company and the industry, paying close attention to the rates at which major changes have occurred. The timeline likely can be constructed using information acquired in Stage 1; however, additional information might be needed to fill in the gaps. Waiting until Stage 6 allows the timeline to be placed within the context of information gathered in Stages 2–5. Examine key financial trends for both the business and industry to gain a sense of what has been successful and what is on the horizon. This stage is the last one in which the information on the industry or business is sought externally. The four remaining stages concentrate on filtering and transforming information into knowledge. Constructing analogies is an important means of understanding an unfamiliar topic. Using imagination and creativity to develop an analogy or metaphor that sheds light on industry or business elements can be helpful. In this stage, there is no source to turn to other than introspection. Analogies and metaphors are necessarily simplified and reductive; the point should not be to generate a one-to-one correspondence between all aspects of the topic, but rather to improve the understanding of challenging concepts. The visualization stage relies on tables, flowcharts, and diagrams to represent complex accounting systems and industry and business elements. For example, mapping and comparing trends can help form a better understanding of critical relationships. Create charts and diagrams of each of the prior seven stages and update them as changes occur. This process is similar to updating flowcharts of accounting systems. There is perhaps no better way of pulling together information and transforming it into knowledge than explaining it to someone else. A peer or an industry representative can be an effective sounding board when developing an initial understanding. Cultivating such relationships can also help filter the abundance of industry information. In Stages 7, 8, and 9, the connections between aspects of the mental model can be strengthened by testing them against analogies, diagrams, and other individuals, respectively. This last stage requires reflection on what has been learned about the industry and business during the previous nine stages. At this point, a generalization about the industry and company will indicate where further learning is necessary and identify the most critical elements to monitor on a continuing basis. An analysis that summarizes key elements of the first eight steps of this process can indicate whether an abstracting theme has been formed. 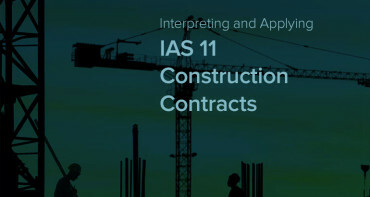 Aspects of the business or industry that were not addressed sufficiently will be apparent upon inspection or review by an industry peer and by readdressal. This formal process for understanding a business and industry can also be used for continuous monitoring. This can be accomplished through periodic discussions with a peer or industry mentor about the first six stages of this process. Then, refine analogies and metaphors and update visualization items as needed. Finally, the abstracting theme should be updated at least annually to ensure that the most recent information about the industry and client is incorporated into the mental model. Keeping the process objective in mind during the entire process and through ongoing monitoring is critical. Certain engagements or projects might require less depth than others. However, a change in objective could require reprocessing again in an effort to restructure the mental model. Article courtesy of The CPA Journal.